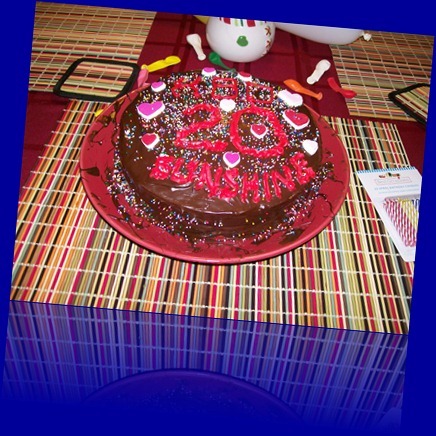 Christina is Twenty today! It seems not that long ago she was running around in a little red dress as a toddler…time sure does move along! 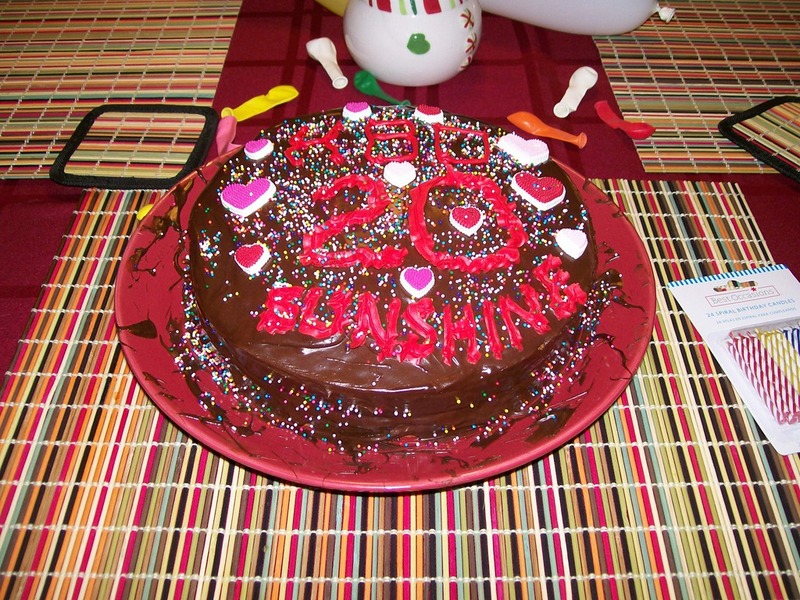 HAPPY 20TH BIRTHDAY, SUNSHINE! The party begins at 5PM. She asked that I make Chili and that it be extra spicy and after a final taste test, it is! I will also make pizza once everyone is here! The cake is all decorated and the ice cream is ready to go! Look back for the Birthday Song video later (see below)! Her gift is a painting titled Christina’s walk. 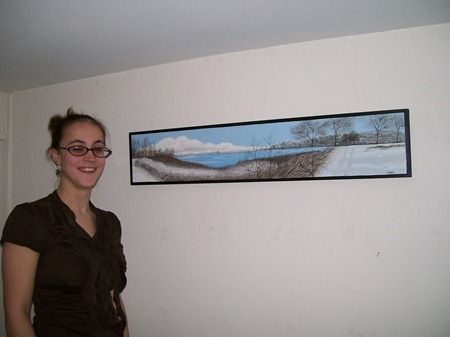 My good friend an talented artist Tim Campbell created it from a large panoramic photo I made in January of 2007. We all had a blast. I guess having a twenty-something year old daughter is a good thing! Find more pictures in this RSS Feed. This entry was posted in Chrissy, Family and tagged Birthday by Gary. Bookmark the permalink.